Spring is here, and so is more new music! Christopher will be playing violoncello on Yu-Hui Chang‘s When the Wind Comes, the Grass Bends on EQ’s latest concert. Yu-Hui’s piece both celebrates and subverts the traditional sounds of the string quintet—driving, delicate, tense, and plaintive in turn. Other pieces on the program include Marti Epstein‘s Troubled Queen which is a precisely calibrated and ingeniously shifting sound world, employing her distinctive ear for color. Chaya Czernowin‘s Sahaf is an amped-up, crazy ride for saxophone, electric guitar, percussion, and piano. Saxophonist Philipp Staeudlin will complete the program with a work for sax and electronics by Davide Ianni. We’re looking forward to this concert, which will be framed by the warm acoustic and sleek lines of First Church in Boston’s sanctuary. 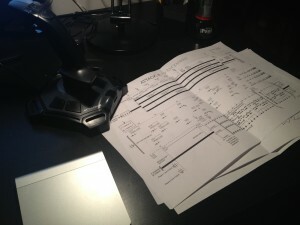 This weekend, Christopher’s Attack 4 for modified joysticks will be performed with EQ [equilibrium] concert series. 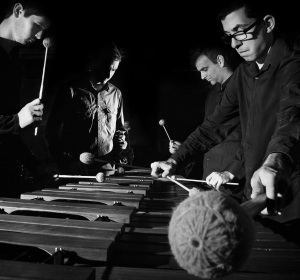 Critically acclaimed ensemble Iktus Percussion will be collaborating with members and local Bostonians in a program of works by Aaron Jay Myers, Franco Donatoni, Cornelius Cardew, Levy Lorenzo, Daniel Lewis, and Julia Wolfe. Studio 401, Boston Conservatory, 31 Hemenway St.
Christopher, along with members of the Equilibrium Ensemble, will contribute reprisals of two Hyman Bloom chamber works (Chris Coughlin’s Leg and Jason Huffman’s Christmas Tree) as well as solo selections from John Harbison’s The Violist’s Notebook and Marti Epstein’s American Etudes to the Boston-area debut of Composer’s Voice, a series by NYC-based contemporary music initiative Vox Novus. 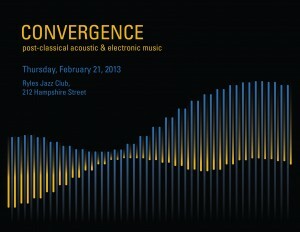 The evening will also feature pianist Stephen Porter and a 60×60 East Coast Mix of new voices in electronic music. 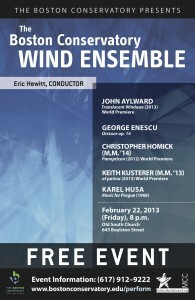 The Boston Conservatory Wind Ensemble, conducted by Eric Hewitt, will premiere Christopher’s latest work, Panopticon, at Old South Church in Boston, MA on February 21, 2013 at 8:00pm. 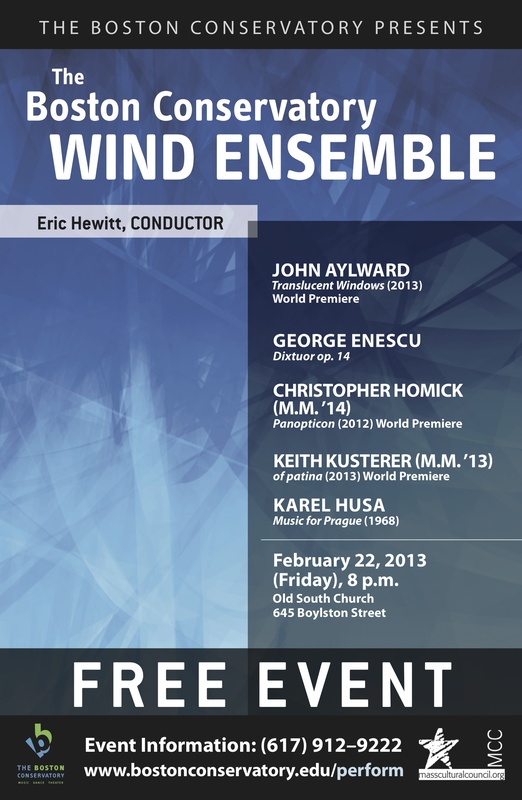 Christopher will be performing Intersections, a new work for cello, vibraphone, and electronics with the Boston New Music Initiative on Thursday, February 21, 2013 at 8:00pm. 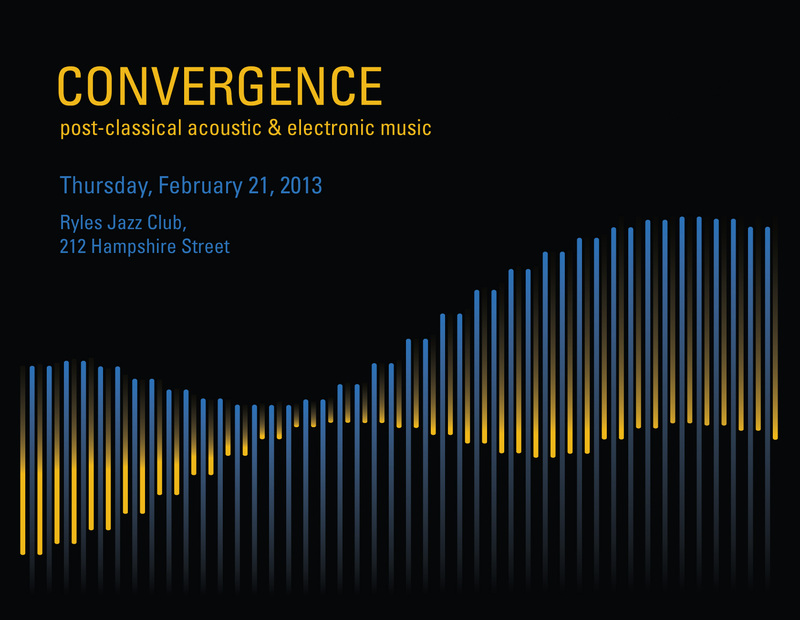 The performance will be held at Ryles Jazz Club in Cambridge, MA. The concert features new post-classical acoustic and electronic music by Jason Bolte, Joshua Bornfield, David Kirkland Garner, Robert Honstein, João Pedro Oliveira, and Kirsten Volness. Over and Over was a collaboration between brother and sister team, Christopher and Elizabeth. The original film was shot by Elizabeth and then edited by Christopher. The electronic sounds were generated using a modified joystick and with the help of Kat Bennicof Yundt. Christopher’s latest composition, Attack Four for four modified Logitech joysticks will be performed Tuesday, November 13, 2012 at 8:00pm in Studio 401 at The Boston Conservatory. Attack Four is a quartet for modified Logitech Attack 3 gaming joysticks. Designed as a new electronic musical instrument, the joysticks allow the performer to directly access many dimensions of sound, with a high degree of nuance. The software and concept were developed by electronics engineer and percussionist, Levy Lorenzo. Writing for a new instrument was not an easy task. I had to discover the sounds and capabilities that the instrument was able to achieve and create a notational system that conveyed the intent in an accurate and precise way. With that said, the piece explores the notion of four performers learning a new instrument from scratch and juxtaposes unison sections with moments of dissension and chaos. The score is a combination of traditional, spatial, and graphic notation. There are a total of eleven buttons that are programmed with various samples, including bass drum, snare drum, bell, sine and sawtooth wave to name a few. The joystick x-axis controls pitch and frequency while the y-axis adjusts volume. In addition, there are two loops able to record two seconds that the player can utilize independent of one another. Christopher will be performing with the Boston New Music Initiative on Sunday, November 11, 2012 at 8:00pm. The concert features new chamber music by Chris Arrell, Ron Amchin, Kaley Lane Eaton, Michael Lee, Joel Love, Jocelyn Morlock, and Sid Richardson. If you would like to receive the latest news and upcoming events from Christopher, please enter your email address below. Don't worry – you will not be bombarded with messages! © 2012 Christopher Homick. All rights reserved.